A member of the House Intelligence Committee has launched a probe into whether a leading architect of the campaign to sell the Iran nuclear agreement last summer coordinated with the White House to mislead the media and the American public, according to documents obtained by the Washington Free Beacon. The inquiry is part of a larger effort by lawmakers to discern the origins of a shadow campaign that top White House officials admitted to running in order to enlist journalists and experts to boost support for the agreement. The latest probe, launched by Rep. Mike Pompeo (R., Kan.), centers on Joe Cirincione, president of the Ploughshares Fund, a left-leaning foundation that quietly bankrolled a core part of the White House’s campaign to sell the nuclear agreement. Cirincione visited the White House almost 30 times in the past few years during the administration’s diplomacy with Iran, prompting Pompeo to launch a wide-ranging probe into Ploughshares’ efforts to slant reporting on the Iran deal, according to a copy of that inquiry obtained by the Free Beacon. Ploughshares has been engulfed in controversy since the Free Beacon and other media outlets exposed its efforts to fund media organizations that provided favorable coverage of the Iran deal, including National Public Radio. The organization also held strategy sessions with White House officials to force support for the deal in Congress. New information from the Pompeo inquiry shows that Cirincione downplayed his ties to the White House’s pro-Iran efforts to create the impression that he was a neutral foreign policy observer. 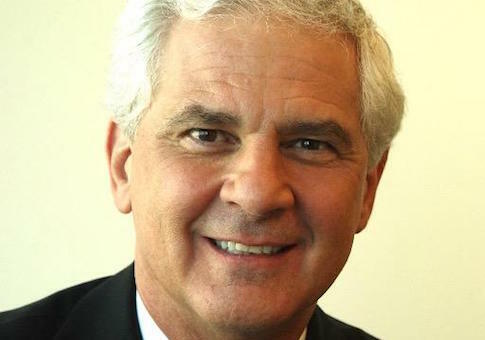 Cirincione did several interviews at NPR and other outlets boosting the nuclear deal, and billed himself as a top source for reporters seeking information about the administration's diplomacy. "After the Obama administration cited your organization, the Ploughshares Fund, as a key surrogate in its selling of the Iran nuclear deal, the attention of the media and the American public turned to your group," Pompeo wrote in a Wednesday letter to Cirincione. "Ploughshares’ contributions, totaling $700,000 to National Public Radio (NPR) over the past several years, raised concerns of bias and journalistic ethics." "Specifically, your behavior as the leader of this organization during the Iran deal debate has left many with questions," wrote Pompeo, who has been investigating these ties since the Free Beacon disclosed that NPR had cancelled an interview with the lawmaker, a deal critic, after receiving funds from Ploughshares. Cirincione failed to disclose his organization’s close financial ties to the media outlet during multiple appearances on NPR, according to Pompeo. "After news broke of Ploughshares’ significant financial contributions to NPR, it was also discovered that no disclosure of these gifts were made, either by you or by NPR, when you appeared on NPR on March 23, 2015," the letter states. "This disclosure ‘breakdown’ prompted the NPR ombudsman to conduct a review of NPR’s processes." That internal review found that NPR violated journalistic ethics during its interviews with Cirincione. "What is disturbing to outside observers is that NPR is ‘looking into why the Cirincione interview in particular did not raise any red flags’ at the time, though it obviously had to be corrected," Pompeo writes. "Your enthusiastic defense of Ploughshares’ conduct after these revelations did not acknowledge or apologize for any mistakes," the lawmaker adds. "I do not yet know if your organization had similar problems with other news outlets. I am concerned that this NPR incident it is part of a broader pattern of deceit." Congressional insiders who spoke to the Free Beacon about the latest probe said Cirincionce has not come clean about why he failed to publicly disclose his close ties to the White House’s pro-Iran deal spin machine. "There’s a real disconnect between what Ploughshares’ president is saying and what he’s doing," said one senior congressional aide familiar with the inquiry. "The Associated Press's and NPR’s accusations against him and his group are serious—yet he continues using Obama administration talking points and refuses to recognize the clear errors in how he behaved." "You cannot give hundreds of thousands of dollars to public radio and then go on public radio many times without disclosing those contributions," the source added. "And he is just one member of the organized ‘echo chamber’ promoting Obama’s agenda—imagine how many more like him there are." Pompeo seeks to obtain further information about Ploughshares’ efforts to boost the deal, including whether it obfuscated its financial ties to NPR and other organizations. The probe also asks about potential coordination between Cirincione and the White House. "Did the White House contact you about your NPR interviews and request you use any material or talking points?" Pompeo writes. "You have visited the White House almost 30 times in the last few years—years that were very critical for debate on the Iran deal." "Your official visit to the White House on March 15, 2015 is questionably close to your March 23, 2013 appearance on NPR to discuss the Iran nuclear deal. Similarly, your official White House visit on April 6, 2010 was right before your April 12, 2010 NPR appearance," the inquiry states. Cirincione has denied on multiple occasions that the White House had created a pro-Iran deal operation, despite the disclosure of such an operation by top officials. He also has taken aim at critics of the Iran deal by alleging that they are part of a larger conspiracy to promote war with Iran. This has included criticism of Weekly Standard editor Bill Kristol and Sen. Ben Cardin (D., Md. ), who Cirincione has referred to as "neocons." "Deeply disappointed [Senator Cardin] caved to the neocon, pro-war camp," Cirincione tweeted in 2015 after Cardin expressed opposition to the deal. "Weak statement excusing his vote against the historic Iran Accord." Most recently, Cirincione appeared in a Ploughshares video about the deal titled, "How we won." This entry was posted in National Security and tagged Iran Nuclear Deal, Obama Administration, White House. Bookmark the permalink.